The Motivation Hotel: Give me what I give to you. Give me what I give to you. 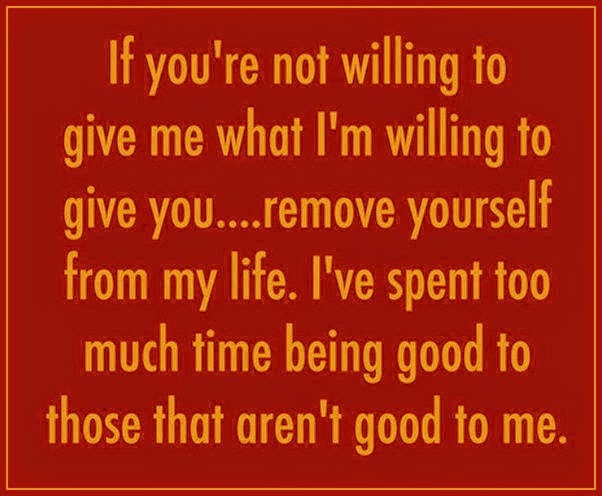 If you're not willing to give me what I'm willing to give you, remove yourself from my life. I've spent too much time being good to those that aren't good to me.